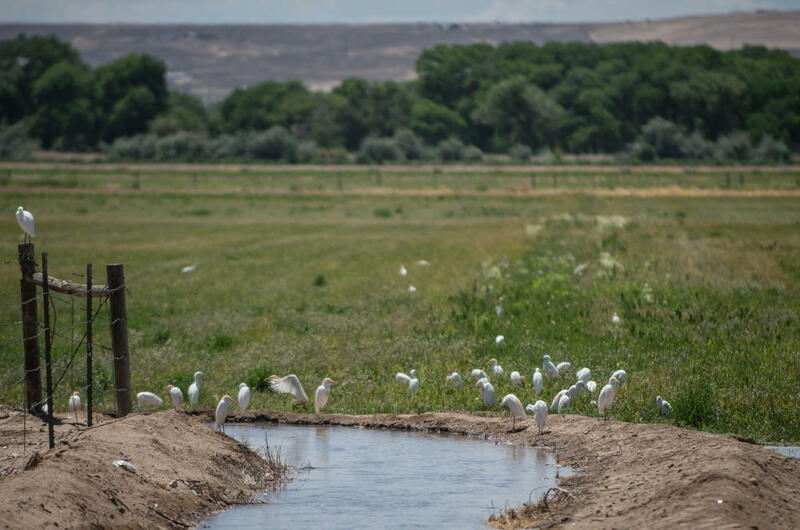 Since 1988, Amigos Bravos has been working to protect and restore waters in New Mexico. Engaging and educating the community is integral to their mission, which is guided by social justice principles and dedicated to the environmental health of communities. Two EPA funded projects are empowering communities to learn more about monitoring and improving water quality in the Rio Grande Watershed. Amigos Bravos conducted 12 student- and community-based water quality monitoring events at the urban Valle de Oro National Wildlife Refuge (NWR) across all three sources of surface water: two irrigation ditches, the east riverside drain, and the Rio Grande River. Work included sampling for nutrients and metals, as well as pharmaceuticals, PCBs, and E. coli. The work benefited Small Municipal Separate Storm Sewer System (MS4) permittees in the urban watershed regarding PCB analytical methods and efforts to meet EPA’s 2015 goal of eliminating impairments on the river. This project involves development of community consensus to employ green infrastructure and low-impact design (GI/LID) to improve the quality of stormwater run-off into the Rio Grande in Albuquerque’s South Valley area. The initial tasks include community charrettes to obtain community input on GI/LID strategies.